Taking The Long Way Around – Wagin to Albany. Nineteen happy Solos left Wagin for our destination in Albany and the CMCA Rally. I had arranged a Roving Rally for us to experience some of the amazing countryside through the Southern Forest area of Western Australia. It was designed as a flexible rally so that participants could choose activities that interested them along the way and we met at each days destination for Happy Hour. In preparation I had prepared a ‘show bag’ of information about the different places we were going to, and I had, in fact, done a ‘dry run’ to make sure all our planned destinations would be suitable for us. Having a campervan as small as Brutus I tend to forget that some of those big Winnebago’s and other rigs need more room than me! 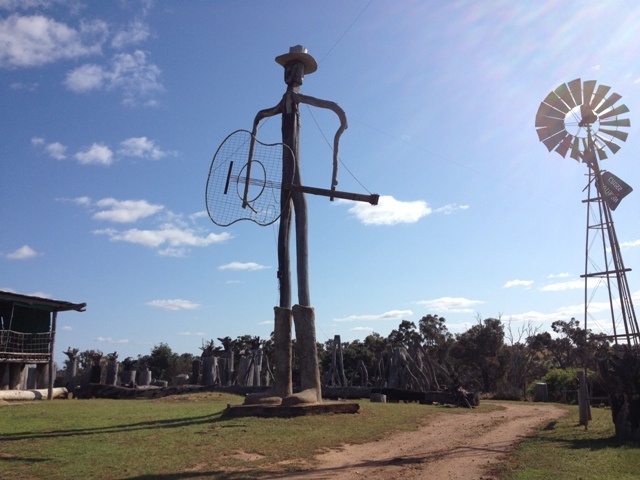 On our first night we gathered at Harvey Dickson’s Country Music Centre at Boyup Brook. Harvey, his wife Rose, and offsider Ken joined us for Happy Hour around the camp fire. Harvey stayed on when the others left and our main aim then became stopping him from falling into the campfire every time he stood up! He was definitely wearing his wobbly boots! Several of us booked the tour of his centre the next day. Wow! Words can’t describe his incredible collection of memorabilia that was scattered around the grounds and filled his entertainment venues. I’ll let the pictures tell the story! Camping fees at Harvey Dickson’s were $5per person per night and his tour was $10per person, and well worth every cent. We left mid morning to travel to Bridgetown, most of us hanging out for a good coffee. When we arrived the water was cut off in the main street and all the coffee shops could offer were cold drinks – NO coffee – oh no! We wandered the street lined by cherry blossom trees and all agreed Bridgetown was worth another visit – perhaps at the Blues in Bridgetown Festival in mid-November. Some of the group travelled to our next destination via Greenbushes while others chose the more direct route. The drive from Greenbushes to Maranup wound around the hills and had the prettiest scenery – and what a photo opportunity as I approached our destination! Maranup Ford Farm Stay was our next stopover and what a difference from last night. A lovely green, peaceful setting with beautiful gardens, lots of birds,( particularly bright blue wrens) and great amenities. We all made use of the barbeque in the camp kitchen to cook our dinner and then once again gathered around the campfire that Laurie Baxter kept going to share our journey that day. On Wednesday we journeyed to Quinninup via Pemberton to experience the Pemberton Tramway journey through the Karri forest. Hilly being silly – what’s new?? Monica and Shannon – must be something good down there! We were met at Quinninup by the resident kangaroos and emus just in time to set up for happy hour. Is he hiding or escaping? As the camp kitchen had a pizza oven Sue Seaward and Kaye Page cooked up the pizzas we’d bought which wiped out the need for most of us to cook dinner! 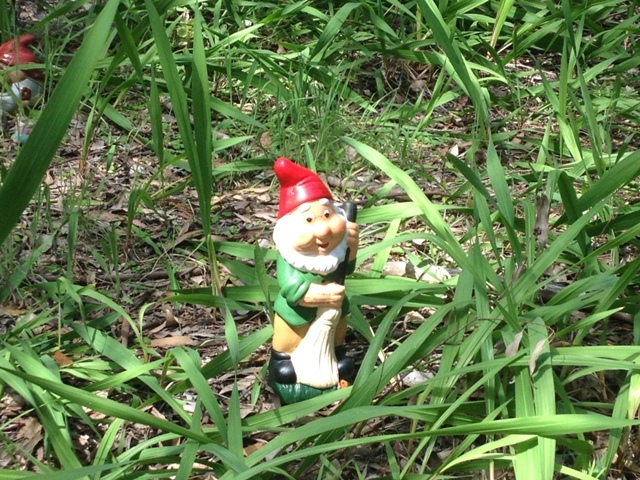 There is a small gnome village at the entry to the Quinnninup Eco Tourist Park and everyone contributed to the purchase of a gnome, the Solo Traveller, that we all signed then placed in the village as we left. Solo Traveller – but not a grey gnome-ad! 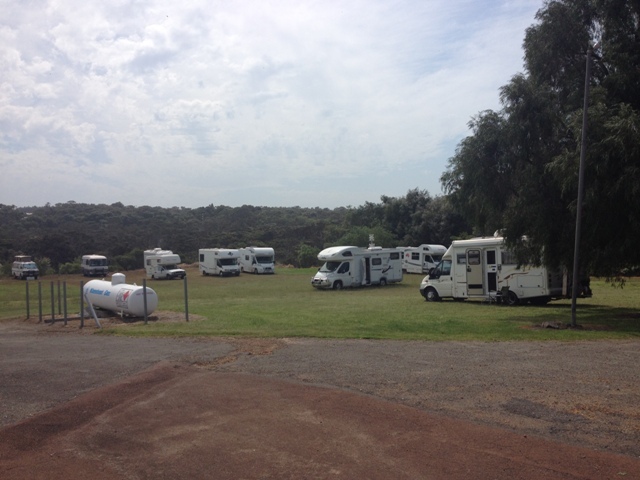 Our last destination was a free camp arranged by local Shire Councillor, Dave Tapley, behind the Walpole Hotel. As seven First Timers (to a CMCA Rally) were leaving the group to enter the Albany Rally the next day we decided to have a group dinner that night to support the pub on it’s initiative to offer an alternative camping venue in Walpole. It was time to say goodbye to our happy band as I made my way to Albany on Friday morning as one of the Newbies!. What a great way to get to know fellow Solos, sharing this special journey and enjoying each others company along the way. 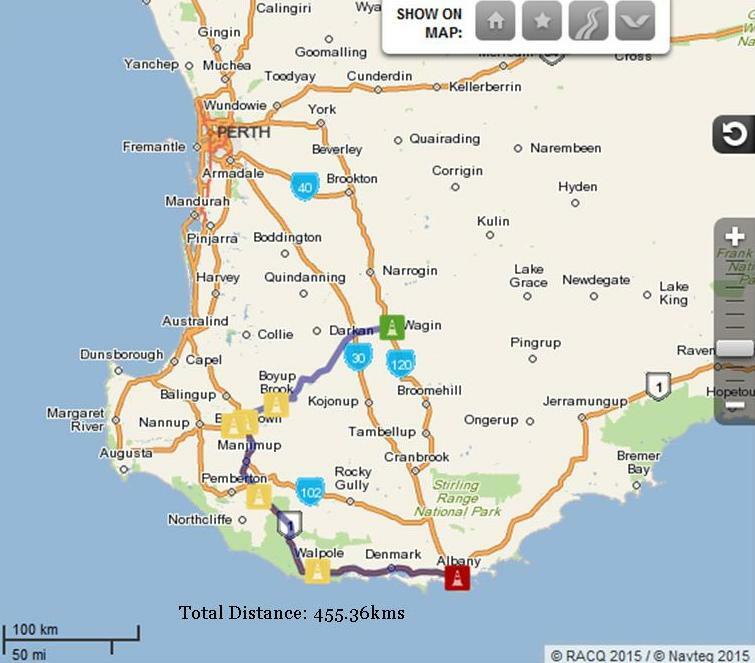 Categories: Australia, Rallies & Events, Travelling, Western Australia | Tags: Boyup Brook, Bridgetown, campervans and motorhomes, camping, Greenbushes, Happy Hour, Harvey Dickson's Country Music Centre, kangaroos, Maranup, Quinninup, Wagin, Walpole | Permalink. Rosemary I just loved all the phots it has given me some ideas for here. Good luck with getting the rust cut out.